Mit einem Preis von 899 Euro ist das neue Satellite kein Sonderangebot, aber die Leistung des 16-Zoll-Notebooks mit der 1366er-Auflösung ist gut und die Ausstattung mit Blu-ray-Laufwerk und einer 500-GByte-Platte kann sich sehen lassen. 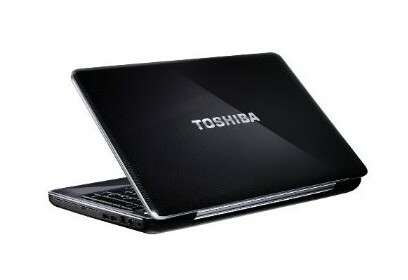 Es geht ja doch: Toshiba stattet seine Notebooks endlich mit Blu-Ray aus. Wir hatten das 16-Zoll-Modell Satellite A500 im Test. Der Preis geht beim Toshiba Satellite A500 in Ordnung - vor allem die Ausstattung mit Blu-Ray-Brenner ist üppig. Das Rechentempo ist ordentlich, die 3D-Leistung sogar ziemlich gut. Bei einem Multimedia-Notebook hätten wir uns allerdings ein besseres Display gewünscht. Multimedia-Freunde mit hohen Ansprüchen können das Toshiba Satellite A500 aber als HD-Zuspieler für einen großen LCD-TV nutzen. Viele Notebooks verlassen nur im Ausnahmefall den heimischen Schreibtisch, brauchen also weder eine lange Laufzeit noch ein geringes Gewicht. Wichtiger sind gute Bildschirme, ergonomische Tastaturen und eine kräftige Ausstattung. Im Hochglanz-Gehäuse des Toshiba Satellite A500 lärmt der Lüfter in der Voreinstellung konstant. Handablage und Deckel ziehen Fettflecken an, aber Ausstattung und Tastatur überzeugen. Im Test beeindruckte die üppige Ausstattung des Toshiba Satellite A500. 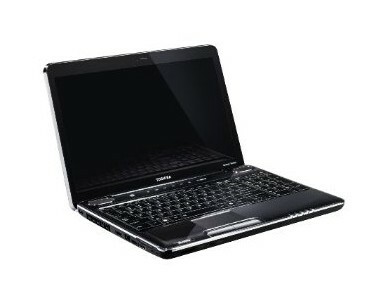 Das Multimedia-Notebook besitzt nicht nur eine TV-Karte, sondern auch 8 GB Arbeitsspeicher. Statt den üppigen 8 GB RAM hätte Toshiba dem Satellite A500 lieber ein Blu-Ray-Laufwerk oder ein besseres Display spendiert - das hätte das gute Multimedia-Notebook perfekt abgerundet. Denn derzeit bringt der riesige Arbeitsspeicher kaum Vorteile - das Toshiba Satellite A500 ist auch unter einem 32-Bit-Windows schnell. 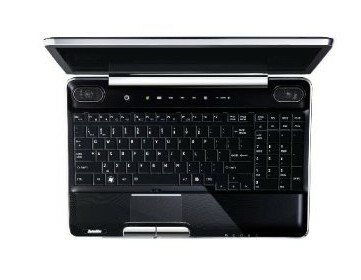 Minor fit and finish issues aside, the Toshiba Satellite A500-11U is a cracking desktop replacement laptop. It'll gobble up CPU intensive tasks and games with aplomb, while the addition of a TV tuner and ample storage space makes it perfect for people short on space. We'd like to have had a 64-bit OS to go with the prodigious processing power, but it's still a system well worth recommending. It's a 16in notebook and weighs 3kg, so the Toshiba Satellite A500 will be a little awkward to lug to and from work or the classroom, and it will only just fit into a modest-sized backpack. However, that's to be expected from a notebook designed to reside on a desk. The Toshiba Satellite A500 is a fully featured notebook that's perfect as a desktop replacement, and even as a media hub for your lounge room. It's big, so you won't want to lug it around with you, but it's stylish, so you will want to show it to your friends. 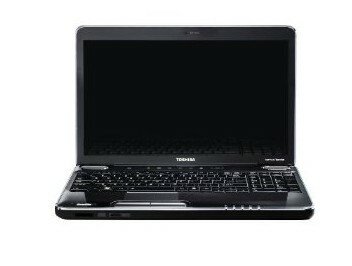 Toshiba’s Satellite A500 marks a new direction for the brand, with excellent multimedia capabilities more in line with the company’s Qosmio range than regular Satellite models. Along with raw power, it’s also stylish, comfortable and well made. It’s a shame that the Satellite A500 centre doesn’t provide a higher resolution screen, but overall it’s an excellent choice, offering great performance and impressive value for money. The backlit keyboard makes it a comfortable proposition, and good quality means it’s also a machine you’ll be able to use on a daily basis. If you’re looking for a mid-sized media centre, and this is within your budget, then it comes highly recommended. Mittelklasse Zweikern Notebookprozessor mit relativ geringem Stromverbrauch und 3 MB Level 2 Cache. Die schnelleren Versionen besitzen bereits 6 MB Cache. 77%: Weltbewegend ist diese Bewertung nicht. Obwohl es bei den meisten Websites einem "Befriedigend" entspricht, muss man bedenken, dass es kaum Notebooks gibt, die unter 60% erhalten. Verbalbewertungen in diesem Bereich klingen oft nicht schlecht, sind aber oft verklausulierte Euphemismen. Dieses Notebook wird von den Testern eigentlich als unterdurchschnittlich angesehen, eine Kaufempfehlung kann man nur mit viel Wohlwollen darin sehen.